At one time, all laminate flooring was cheap. Compared to other types of flooring like solid hardwood and engineered wood flooring, "cheap" and "laminate flooring" were always synonymous. Low-cost laminate flooring is usually in the 8mm or thinner range. Laminate flooring in the 12mm thickness range is considered to be thick and is usually found only in the most expensive products. Thick flooring and deep embossing go hand-in-hand. Thick flooring does not always mean that it will be deeply embossed. But deep embossing does mean that the product must be relatively thick. Cheaper laminates tend to come without attached underlayment. Because laminate flooring is inherently thin, most laminates can benefit from a layer of foam or felt underlayment. Underlayment can be either attached or unattached (in the form of separate rolls). Just like other commercial operations, flooring manufacturers are no stranger to the practice of offering extra features in an effort to attract customers. Some features are more valuable than other features. One area where this is demonstrated is with flooring warranties. Expect more generous warranties (longer warranty periods, fewer restrictions, etc.) with higher priced laminate flooring than with super-cheap laminates. While big brand names like Shaw, Mannington, and Armstrong may sometimes offer good discounts on their laminate flooring, generally the lower prices are found with less recognizable names. Retailers' house brands such as Lumber Liquidators' Dream Home line tend to be priced lower than prominent national brands. The Quick-Step brand has traditionally been about as basic as you can get. But in recent years, they have stepped up their game to capture more of the premium market, introducing such things as 54-inch planks. Collections featuring longer plank lengths are found in the Sculptique, Modello, and Eligna series. But for cheap, you'll need to look at their dependable and unfussy QS 700 series, accompanied by equally unfussy low prices. All 700 series floor coverings are of the 3-strip type, which means that the illusion of three floorboards is contained within one actual floorboard. All 700 series planks are 47 1/4 inches long, 7 1/2 inches wide, and 7mm thick. Quick-Step is known for its groundbreaking Uniclic connection system, and all 700 series floorboards employ this device. When you first look at Dream Home laminate floors, you may wonder how you can get so many features packed into one cheap product. The flooring is a generous 10mm thick. It has an attached underlayment. And the 25-year warranty equals warranties found in more expensive floors. The answer is that Dream Home is bargain flooring retailer Lumber Liquidators' house brand. The highly competitive Lumber Liquidators often has prices comparable to or below those found with home centers' house brands. Choose laminates in the 7mm and 8mm range for truly low prices. Or if your room has moisture issues, spend a bit more for the Dream Home Ultra X2O line in 12mm thicknesses, which still keeping your costs in check. BuildDirect is an online supplier of home-related goods, including laminate flooring. 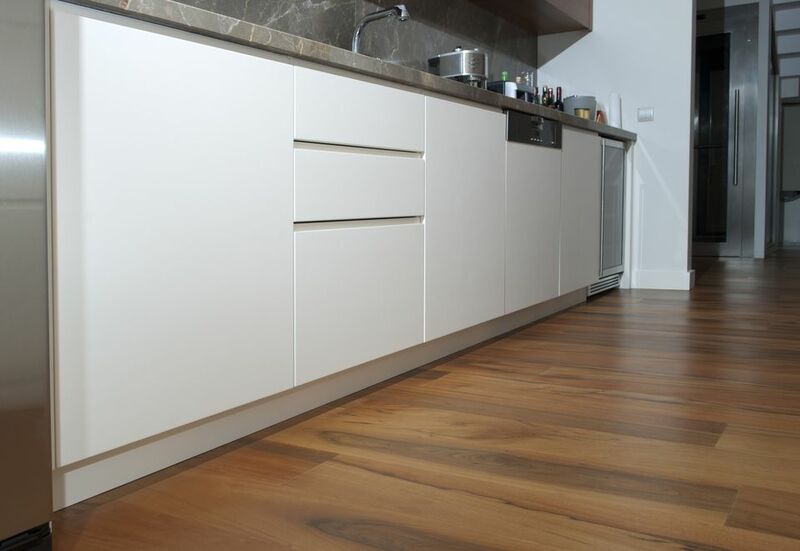 Floors range from 8mm to 12.3mm thick and even include a 72-hour water resistant laminate at 14mm thick. One critical caveat with BuildDirect that affects pricing is its graduated minimum product ordering requirements. So, a floor that begins at $1.49 per square foot may come with a certain minimum order requirement (900 square feet or more, for example) in order to qualify for that low price. With that in mind, peruse BuildDirect's price list and specifications carefully. If you do happen to be in the market for whole-house laminate, then you can score a pretty good deal with them. Pergo literally invented laminate flooring. Does this mean you will get better or cheaper laminate from Pergo? Not necessarily. After creating the laminate flooring market and riding high for a number of years, Pergo saw a few dark years when their customer base tapered off. But in 2012 flooring giant Mohawk bought Pergo and sought to revive the ailing company. The result is a newer and more nimble producer of competitive (and more competitively priced) laminate products. Introduced in 2018, Pergo Outlast+ is not rock-bottom cheap laminate flooring. For that, look to BuildDirect and Lumber Liquidators. However, Pergo Outlast+ combines two critical factors that make it an economy product: mid-level pricing and extreme durability. Lowe's Home Improvement's house brand of laminate flooring, Style Selections, shows no signs of changing its low-pricing model anytime soon. Prices and selections have remained in check and at roughly the same levels for at least the last seven years. The consistency of product selection is important, too, because this gives you the opportunity to purchase matching floorboards to repair your existing laminate floor.